GS1 Standards are used by more than one million companies on a daily basis around the world to identify consumer products for point of sale and supply chain applications, and to describe information about consumer products—a bedrock of the supply chain process. So we’re thrilled to announce our certification as a Solution Partner by GS1 US and the integration of EVRYTHNG’s Active Digital Identities™ with GS1 Standards. The integration means that any product using a GS1 identifier can now connect with a corresponding Active Digital Identity™ in the cloud. In addition, we’re announcing support for GS1 SmartSearch to boost the semantics of data EVRYTHNG manages about products as well as GS1 EPCIS vocabulary to allow interoperability of the supply chain actions recorded in the EVRYTHNG platform. 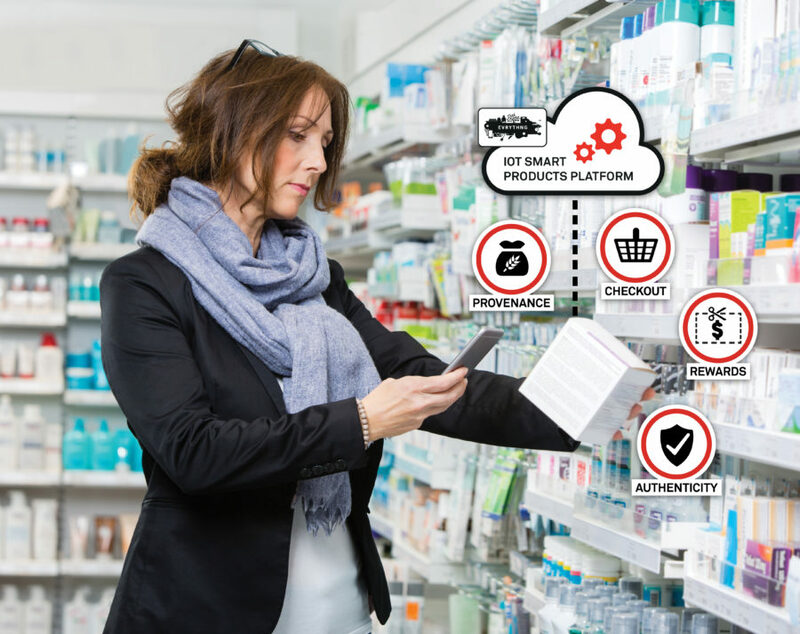 For consumer brands around the world, the billions of existing GS1 identifiers deployed on consumer goods can now be used to web-enable their products, drive new digital applications and easily share product data between multiple applications and across organizations working with products during their lifecycle. This first-ever implementation of GS1 identifiers, SmartSearch and EPCIS in a Web of Things framework reflects an important commitment to standards in EVRYTHNG’s technology strategy. As a member of the World Wide Web Consortium (W3C), we have been working in collaboration with a number of other organizations, including Mozilla, to bring standardization to how physical things are able to share data and drive applications via the World Wide Web using the Web of Things model our company was founded on. Now we’re joining the standards of the Web with the standards of physical product identity with GS1 Standards. Put together, product brands can now rapidly implement end-to-end digital lifecycle management for products, making supply chains smarter with insight and visibility, and establishing the capability to drive customer connections directly from products, direct-to-consumer experiences, product provenance and authentication. Through our established partnerships with global packaging service providers, including Avery Dennison RBIS, Crown and WestRock, among others, EVRYTHNG is able to deploy digital identities at massive scale with billions of consumer products as they’re manufactured. The integration of Active Digital Identities™ and GS1 Standards makes this opportunity even more accessible to brands, providing the ability to integrate products across multiple production channels with a consistent means of identification on-product and a common data model and data management methodology in the cloud. EVRYTHNG and Avery Dennison RBIS are applying this technology standardization to the Avery Dennison Janela™ solution, powered by the EVRYTHNG Smart Products Platform, which assigns unique identities to apparel and footwear products. 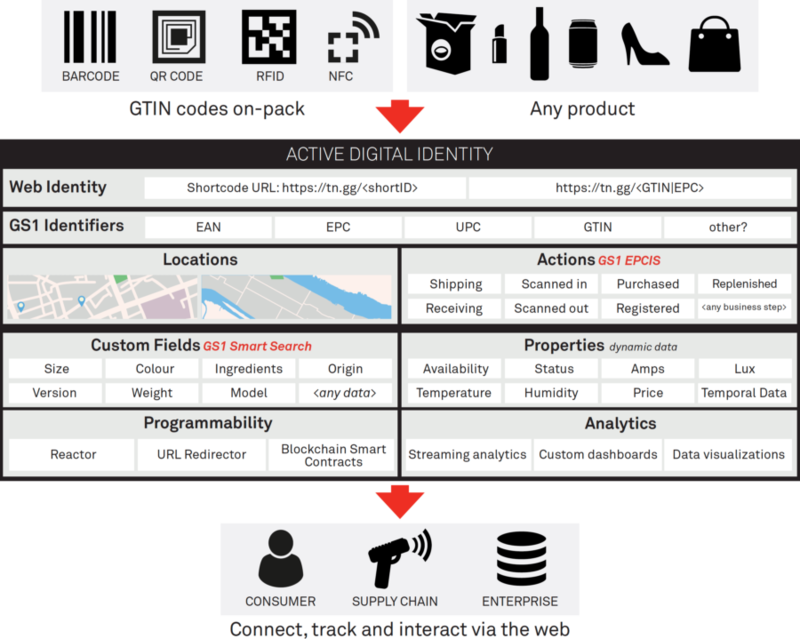 The new, joined up capability for an RFID tag with a standard Electronic Product Code (EPC) to communicate with the Active Digital Identity™ in the cloud enables a wide range of consumer in-store applications. This allows for self-checkout, better product availability and omnichannel experiences across the consumer shopping journey to drive store traffic and unlock consumer analytics. We’re already working with a number of the world’s leading consumer brands to apply these technologies in large scale supply chain and direct-to-consumer applications. It’s great to be at the forefront, and it’s exciting to see the potential and opportunity for digital transformation being realized. EVRYTHNG will be demonstrating GS1 identifiers connecting with the Internet of Things at GS1 Connect 2017 (Booth #50) at the Cosmopolitan Hotel in Las Vegas, June 20-22.